Options trading can be a tense experience. 1. How Much Tax Do You Pay on Call Option Gains? When you invest, you open a “position” in a financial instrument or some other asset. Positions can be long or short. When you purchase items such as stocks, bonds, options and futures, you have a long position. You can instead open a short position by either selling borrowed securities or taking the seller’s side of a contract. “Buy to close” is how you exit a short contract position. Option traders commonly use the phrase. A short sale of a stock or bond involves borrowing and selling the security, hoping to repurchase and replace it at a lower price. It is a bearish strategy. When you take a short futures or options contract position, you don’t borrow anything. Instead, you take on an obligation that involves the delivery of the underlying asset. With options, the obligation is contingent on how the price of the underlying asset behaves. You buy to close a contract position to lock in a profit, limit a loss and absolve yourself of your delivery obligation. 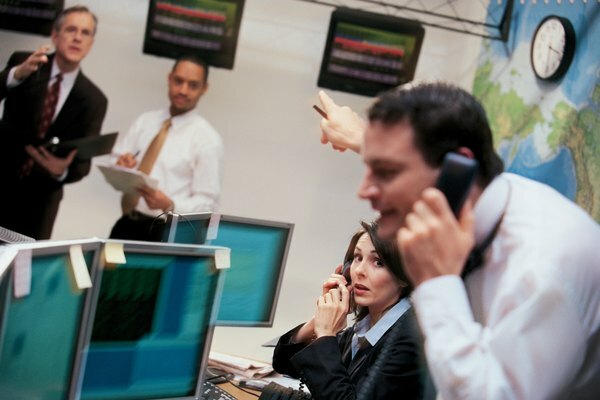 You enter a “sell to open” order on the options exchange to create, or write, a short position. When you short an option, you collect the price of the option, but will have to either accept or make delivery of the underlying asset if the option expires “in the money” -- that is, with some intrinsic value. For call options, intrinsic value comes when the price of the underlying asset exceeds the strike price -- the agreed selling price of the asset. An in-the-money put option has the reverse relationship. American-style options can be exercised any time until expiration, which means a short-seller may be assigned a delivery before the option expires. If you write a call that is assigned, you must deliver the asset at the strike price. If you write a put, you must buy the asset at the strike price if the put is assigned. If you wrote an options contract, you don’t have to hold on until expiration. At any time before expiration, you can issue a buy-to-close order that ends your exposure to subsequent gains or losses and removes your obligation to make or take delivery. A buy-to-close order creates an “offset” -- a new position that cancels your previous one. The two positions net out to zero, and you are off the hook. The price of the options contract at the time of the offset, relative to the money you collected when you wrote the option, determines your gain or loss. A variation on buy to close is “buy to cover.” This term refers to how you exit a short position in a security. For example, if you short 1,000 shares of stock, you borrow the shares from a broker and sell them on the stock market. When you wish to end your short position, you buy back the shares to cover the short sale. After buying back the shares, you return them to the lending broker. If you buy the shares for less than their original cost, you pocket the difference as a capital gain.